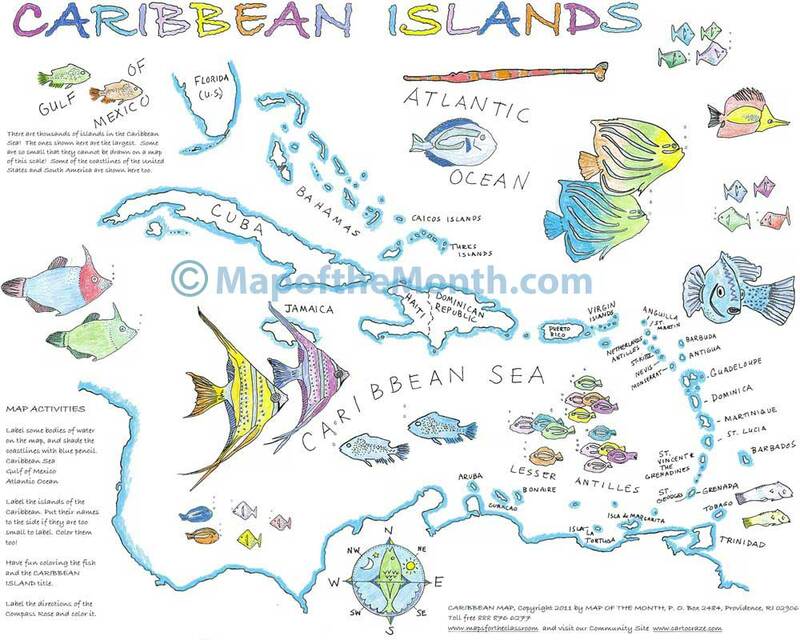 This large map of the CARIBBEAN features all the islands from Cuba to those along the northern coast of South America. Create a beautifully colored and labeled map. 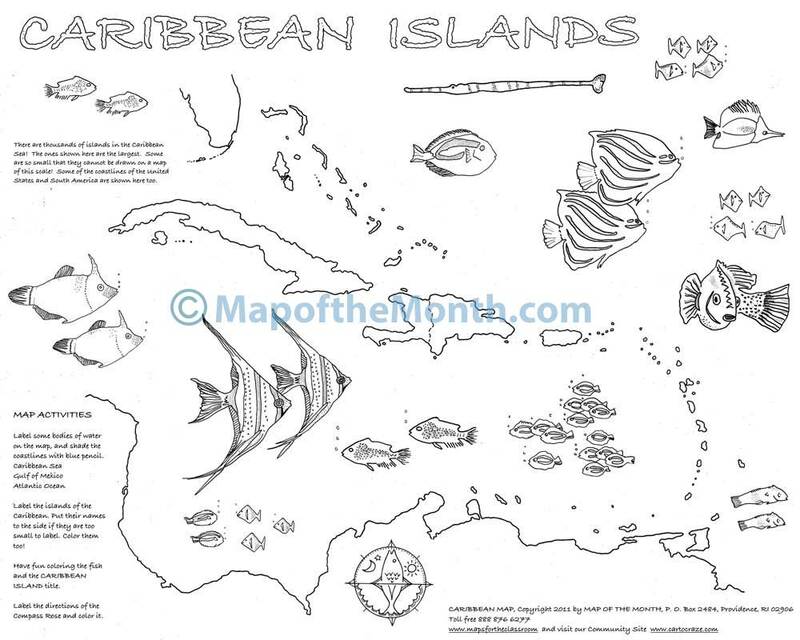 A much illustrated map with schools of fish, flora and fauna! First grade, and up, will find this map a delightful trip to the tropics. When you purchase this map, be sure to see our free access digital file about the CUBA, for use with your projector/whiteboard. Click HERE for free access to this CUBA file, which is part of our CartoCraze! Expanded Map Workshops! Be the first to review “Caribbean Islands” Click here to cancel reply.